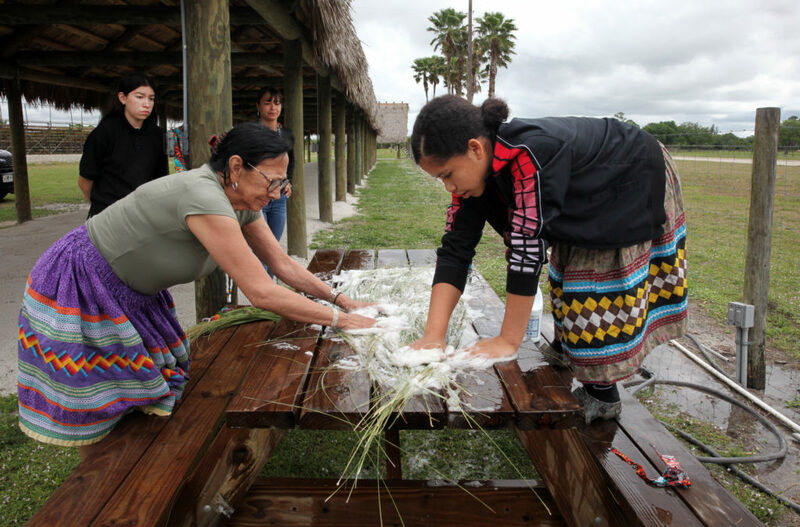 IMMOKALEE — Seminole sweetgrass baskets are an iconic part of the Tribe’s culture, but can be challenging to make. First and foremost the all-important sweetgrass is difficult to find and can’t be bought in a garden store. The grass used to be abundant in the state, but with land development sweetgrass has all but disappeared. 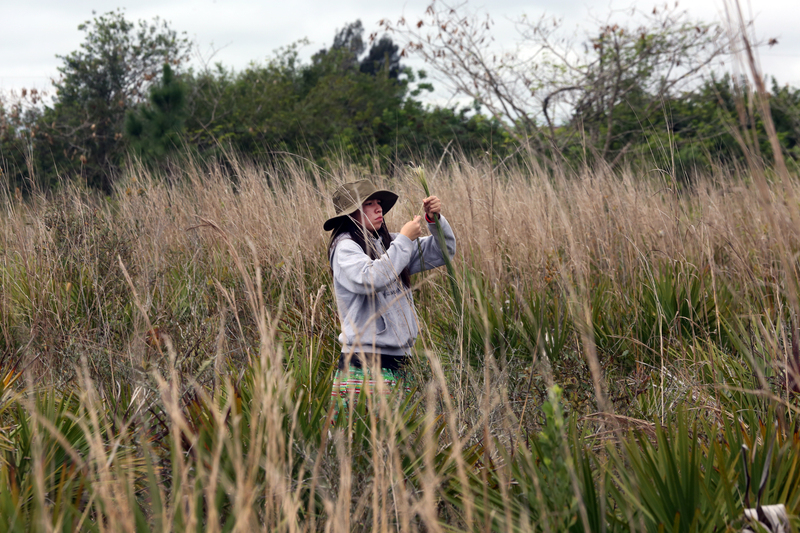 However, a few acres of scrub land in Immokalee is such a good site to find sweetgrass that a group from the Hollywood culture program crossed the state on March 20 just to gather bunches of the thin, green strands. 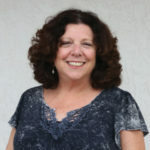 Culture instructor Donna Frank shared her experience and wisdom as she walked through the land filled with saw palmetto, which is where the elusive sweetgrass grows best. 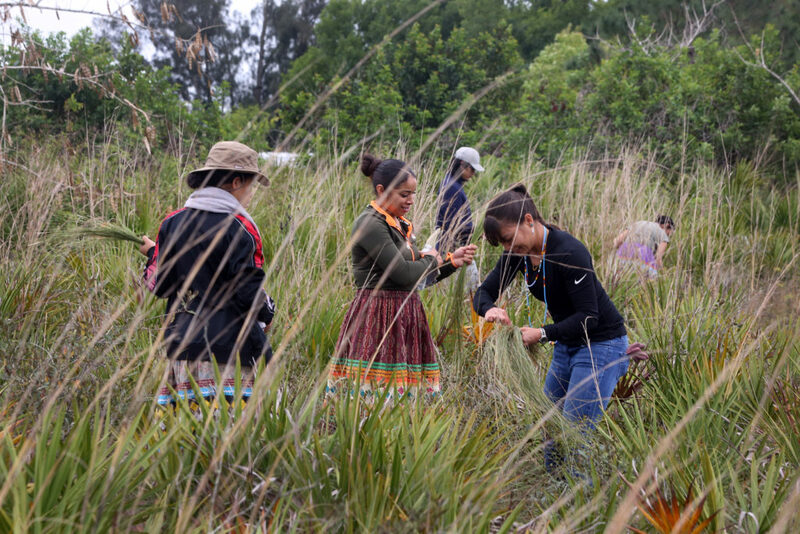 The rainy season is the best time to find sweetgrass. The expedition included three culture department employees, two CSSS work experience participants and three who just came to learn. It turns out that most of them had little experience in the field and were all eager to learn. The art form, technique and the process of procuring the materials to make the baskets has been passed down through generations of families. This day was no different. Amelia and Marcela Osceola joined the expedition at the direction of their father Charles Osceola. “He wants us to learn to make baskets,” said Amelia, 13. Seminole basket making began in the 1930s and were sold to tourists. Over time, they were accepted as a legitimate Tribal art form along with patchwork and Seminole dolls. A host of baskets are always displayed for competition in the annual Tribal Fair and Pow Wow fine arts show, also along with patchwork and Seminole dolls. Once the sweetgrass is gathered, it is washed and set out to dry for a few days. When the group left the brush, they washed the sweetgrass in a combination of dish soap and bleach, rinsed it well and put it on tables to dry. 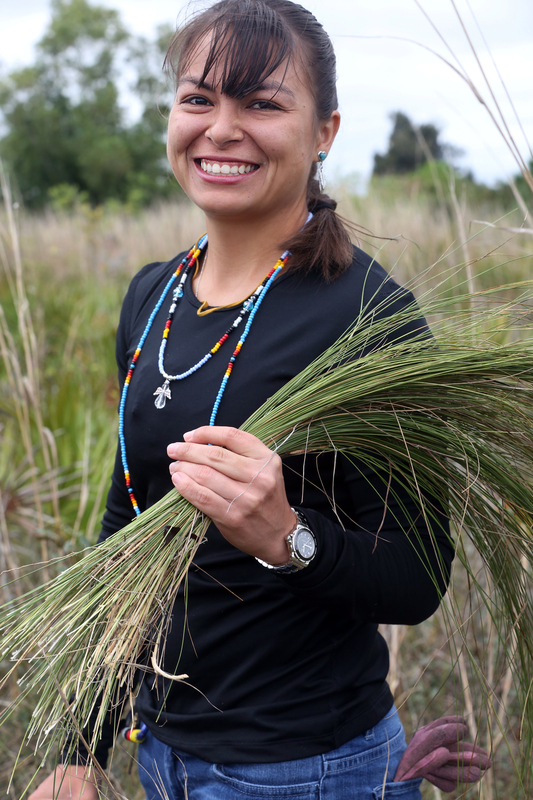 At age 12, Frank didn’t want to go with her mother into the woods to get sweetgrass, but she did. Frank teaches the art of basket making in Hollywood; she usually has about 15 to 30 students.